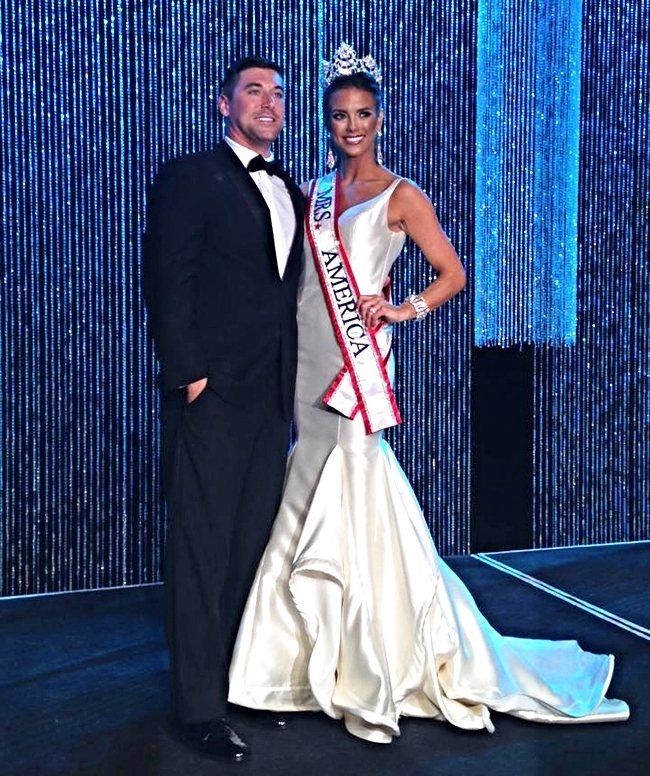 Madeline Gwin, Mrs. Alabama America 2015, has won the title of Mrs. America 2015. Along with fiancé Ryan Gwin, she was participant in Get Out Alive with Bear Grylls which premiered on July 8, 2013 on NBC. They finished 4th in the penultimate episode. As the winner of Mrs. America title, she will go to Mrs. World contest. She was crowned by Michelle Nicole Evans, Mrs. America 2014. Madeline is mother of a one-year-old and has been working as model with Barefoot Model And Talent. She is 26 and from Russellville, Alabama. Madeline Gwin was 2nd runner-up in Miss Alabama USA 2008 pageant which was won by Keisha Walding of Dothan. In September 2008, she had a major accident along with her boyfriend. She spent 12 days in coma. She had multiple fractures to her leg, broken ribs and internal injuries. She spent 21 days on a respirator and 2 months on a wheelchair. Although doctors doubted the possibility, she was able to walk again after several months. She finished in Top 15 in Miss Alabama USA 2009 pageant, which was won by Rachel Philippona of Dothan. On November 7, 2010, as Miss Tuscaloosa, she won the title of Miss Alabama USA 2011 at the Bama Theatre in Tuscaloosa. She was later 2nd runner-up to Alyssa Campanella in Miss USA 2011. Madeline Gwin has a good shot at Mrs. World 2015 title, if she gets the chance to compete. United States has always done well at Mrs. World. April Lufriu of Florida won the title of Mrs. World 2011. Diane Tucker of Arizona won the title of Mrs. World 2007. Nicole Brink of Indiana won Mrs. World 2002. Starla Stanley of Utah won the title of Mrs. World 2000. Kimberly Brasher of Oklahoma was 1st runner-up at Mrs. World 1995. Jennifer Kline of Minnesota was 2nd runner-up at Mrs. World 1989. Pamela Nail of Mississippi won Mrs. World 1987. Deborah Wolfe of West Virginia won Mrs. World 1984. Madeline can be the next in the list!